GFCI Receptacle - GFCI receptacle ensures operator safety and is OSHA compliant. 30 Amp Twist Lock Receptacle - The 120 volt AC twist lock receptacle will handle 30 amps. Single Dial Control - Single dial control allows the operator to choke and run the generator, and turn off the fuel valve with one dial for ease of operation. 12VDC Battery Charging - Subaru generators incorporate 12 volt DC battery charging capabilities for external battery charging. 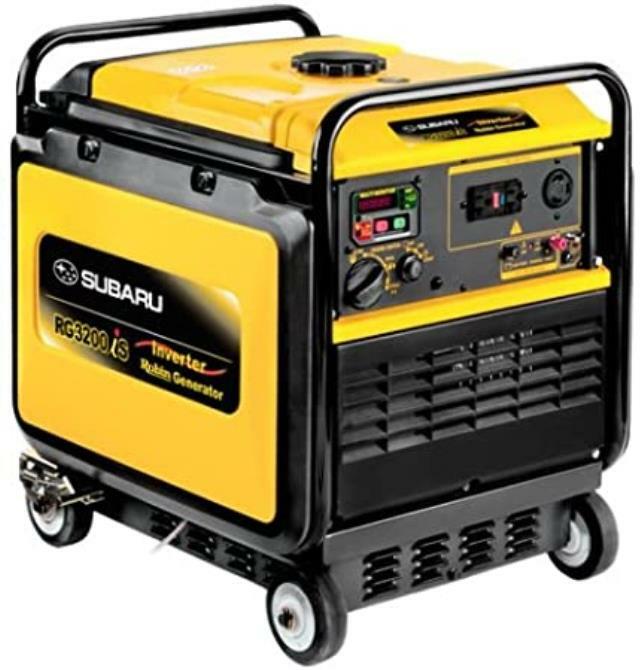 * Please call us with any questions about our generator 3200w subaru inver rentals in Cleveland, Parma, North Ridgeville, Strongsville, and Cuyahoga County.